Destiny 2 is gonna be big. Surprise! Destiny 2 will sell 3 million units on PC in its first three months, according to digital industry analyst firm SuperData, making it the best-selling big budget PC release since Overwatch in mid-2016. Although the PC version of Destiny 2 releases almost two months after the console builds, SuperData seems to expect it to make up a significant slice of Destiny 2’s digital sales in that crucial first quarter. The firm predicts total digital sales of Destiny 2 in its first three months will come in between 4 million and 5 million units. More information is available direct from SuperData. 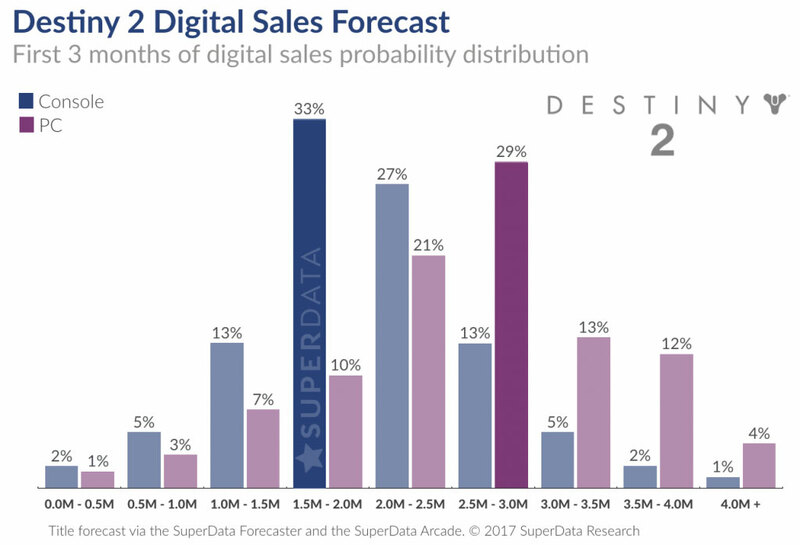 SuperData’s respectable sales prediction falls a little short of the 5 million or so units publishers seem to aim for during release quarter, but remember it doesn’t include boxed sales – which still make up a significant proportion of these tentpole, blockbuster releases. Will Destiny 2 follow Overwatch in achieving the kind of sales figures we normally associate with Call of Duty, GTA and bugger all else? Dunno, but we’d be pretty surprised if it didn’t make a pretty big dent in the annual sales charts. Destiny 2 arrives in September on consoles, and hits PC in October. Opening up to another platform certainly ought to help drive numbers up. The list of changes and improvements between the first game and its sequel is as long as your arm, since Bungie has learned a great deal in the past few years. If Destiny 2’s sales reflect that by improving on the original’s performance to the same degree … well. Activision won’t have anything to complain about.